The most common type of braces used in dentistry are fixed braces and they are also the most effective orthodontic system. Often referred to as “fixed appliances” or “train tracks” they are brackets fixed to each tooth with a thin wire running through them. Fixed braces can only be removed by your orthodontist and they work by gradually moving your teeth into the desired position. 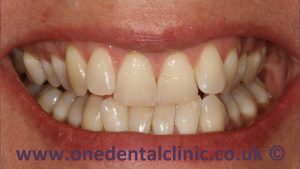 We offer both metal and ceramic (tooth coloured) fixed braces at the practice. How much time does it take to complete the treatment? 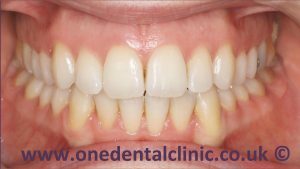 The time required to complete orthodontic treatment with fixed braces varies but on average it will take between 12 to 24 months. During this time, you will need to attend regular appointments with the orthodontist so they can make necessary adjustments and check the progress of your treatment. When your fixed brace is fitted your teeth may feel tender to start with and you will no doubt feel aware of your new addition but within just a few days you will soon forget that they are there. Is there certain food that I should avoid? Having a fixed brace will mean you need to make some slight changes to your usual routine (we promise it will be worth it!). You will need to think carefully about your food choices. Fixed braces do not like hard foods, so, if you do eat these you will need to take extra care but we ask that you refrain from eating very sticky foods such as toffee or chewing gum as these will most certainly cause damage to the brace. 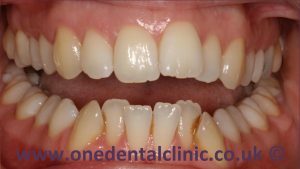 Will I need to change my regular oral hygiene routine? You will also need to embark on a strict home oral health regime using particular products such as floss and special orthodontic brushes which we will recommend to you. We will also show you exactly how to use these and explain when is the best time to use them. 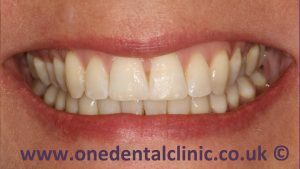 We want to make sure your teeth remain in great condition whilst you are having fixed brace treatment which is why we also recommend that you visit our Hygienist during your treatment. 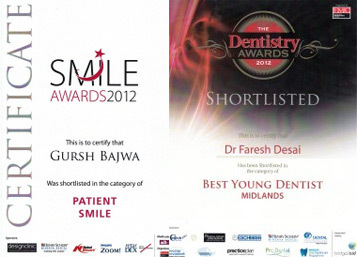 If you would like to find out more about fixed braces contact us today.